Ok. Fine. Well…not fine. But what kind of position does that put me in? As a gun loving law abiding, American citizen? Screwed. Just like the rest of you. All Steel Magazine. Will work in ANY STANAG rifle: M4, AR, FS2000, SCAR, HK 416, etc, etc. So, I’m buying magazines. Not to flip. Not to sell. Not to make money with. But I will be damned if I will wake up one day like I did in 1994 without a pile of standard capacity magazines on hand. And a big enough pile to easily last the rest of my life. No way. No how. Never again. F. That! And you shouldn’t either. 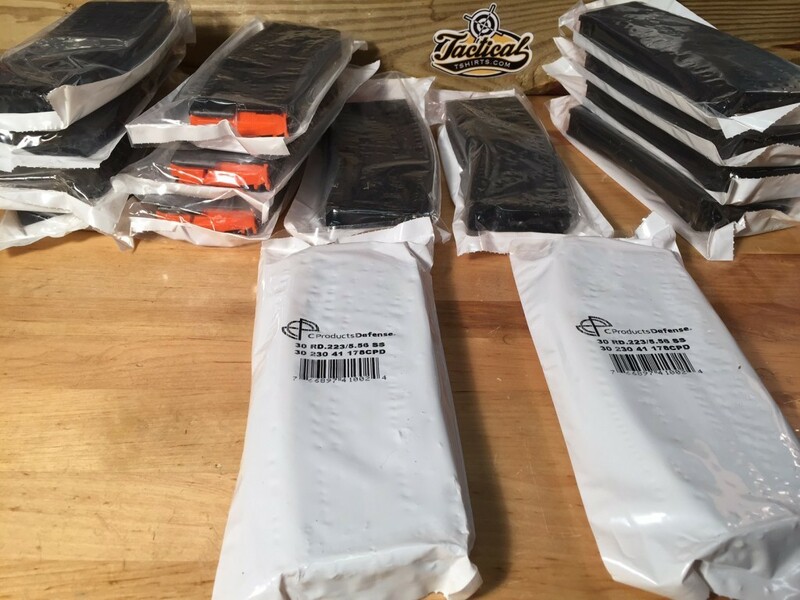 C-Products Defense 30 round steel magazines. I placed this most recent order of all steel GI magazines just as the drama from the Colorado Republican party was breaking. 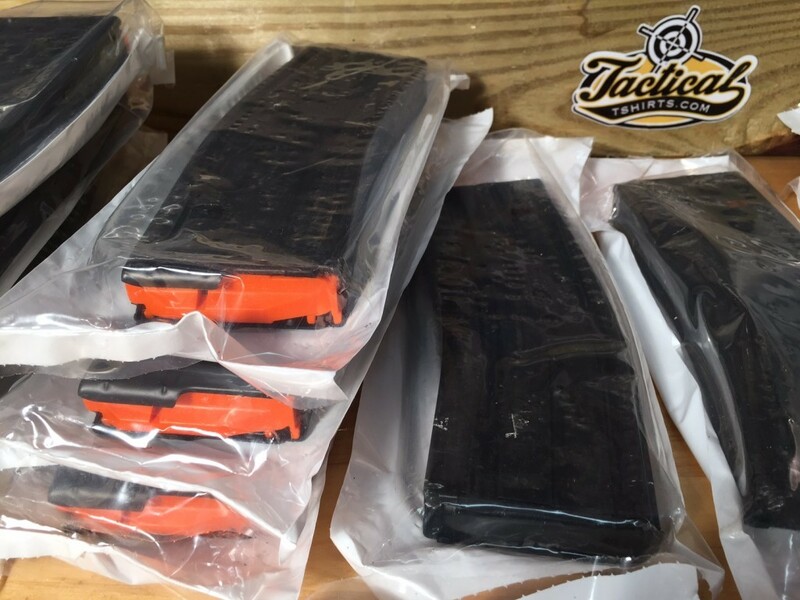 15 steel body, non-tilt-follower STANAG magazines. 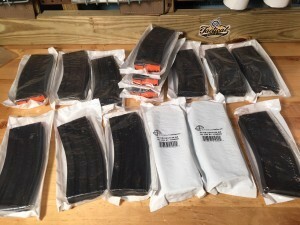 Compared to the fancy polymer magazines, they are a bargain. And just as reliable. No worries. I have plenty of PMAGS too. But the question should be how many do you have? Non-Tilt Followers. 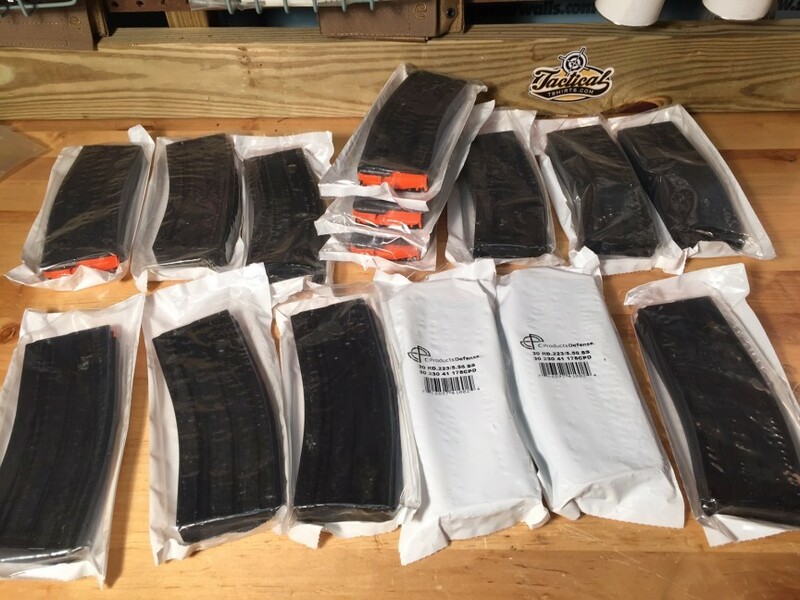 15 new, unissued AR Magazines. Goldman Sachs is buying gold. I am buying guns & ammo. Both out of fear.